London Harvest Festival: This year's event, on Saturday 29th September, will mark 20 years of the London Harvest Festival. Held by London's community growers each year, this is a great day out for all the family. There's also a new venue - Woodlands Farm in Greenwich. London Map: (published 2014). A colourful map of London's city farms and community gardens. Many of these sites are open to visitors or offer opportunities for volunteering, work training or education. 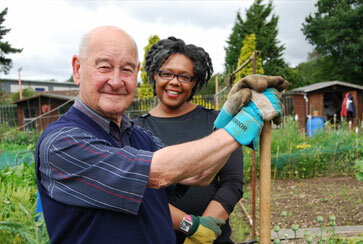 Resources Page: There are lots of useful information resources available for London community growers in our resources section. See also below, for a map view or list of local community growing sites, as well as local news, events and case studies. CEVAS (Countryside Educational Visits Accreditation Scheme) has announced dates for traing events throughout 2019. The scheme offers training for individuals who are working – or plan to work – with groups of school children, young people or clients with additional needs.